Gaming with augmented reality just keeps getting cooler and cooler. Nitrome is no amateur at games. The company has hundreds of mobile and browser games. A few years back, the company came up with the idea that they referred to as "project surface." Essentially, the idea was that they would create a 2D game that would be played on the surface of a 3D object. In March of this year, the company released more information on this project officially called "Flat Pack," however, even more recently the company has revealed a completely new addition to Flat Pack using Apple's ARKit. The AR feature makes the game even cooler, projecting the flat game onto 3D objects. You can watch as the game's character maneuvers through a maze, rounding corners and traveling to different parts of the 3D cube. 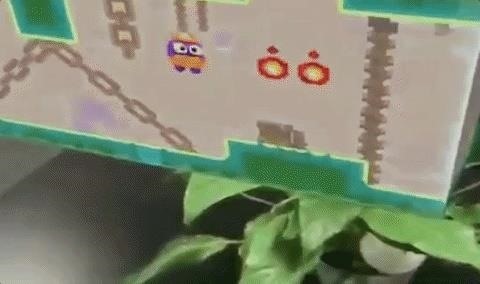 The demo has gotten a lot of positive attention from Twitter users who have all replied to Nitrome's tweet with variants of "this is SO cool." Those excited by Flat Pack should know that the full game will be released when iOS 11 is open to the public. For now, you can check out the full video demo here.